This summer Denver Botanic Gardens conducted a multi-faceted project along the 71-mile High Line Canal that traverses the Denver Metro Area. In this post, you’ll receive some insights into one aspect of this project, the High Line Canal bee survey. 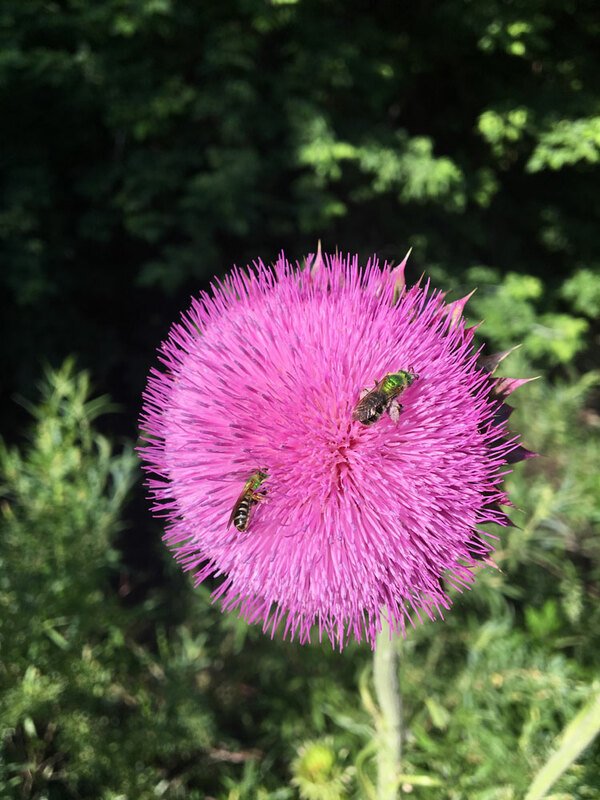 While honey bees and bumblebees are easily recognized and well-known, most people don’t know that the state of Colorado is home to nearly 1,000 bee species! The majority of these species are solitary and ground-nesting, and often go unnoticed by many of us. However, these bees are vital to our Colorado ecosystems, both natural and unnatural (urban and agricultural areas). The High Line Canal bee survey aims to document the diversity of bees along the High Line Canal and to examine how the surrounding urban development and local ecology of the Canal is influencing this diversity. As part of my graduate research at the Gardens and the University of Colorado-Denver, I conducted the High Line Canal bee survey. For two weeks each month from May to July, I set out to collect bees from 30 locations along the Canal with the help of several volunteers. These bees were brought back to the Gardens to be identified under the microscope. All insects collected are currently being processed and stored for long-term future research at the Gardens. I sorted and identified 3,826 bees in 32 bee genera. This includes some rare genera such as the squash bees (Peponapis) and the carpenter bees (Xylocopa). The hope of the larger High Line Canal project, which includes ecological monitoring and a comprehensive floristic inventory, is to guide the management of the Canal, to ensure it is a quality ecosystem for pollinators, plant communities and for visitors from the Denver Metro Area and beyond. 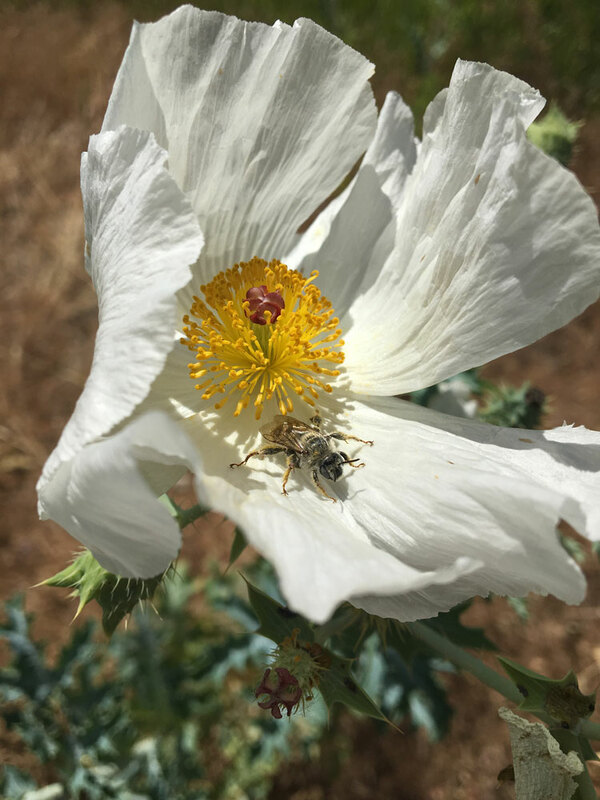 This blog post was written by Liam Cullinane, Denver Botanic Gardens & University of Colorado-Denver graduate student.